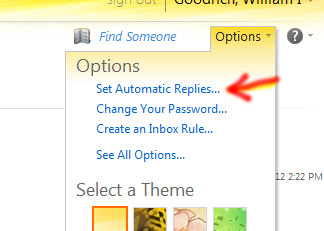 Open the Options menu in the top right corner of the page and click Set Automatic Replies. 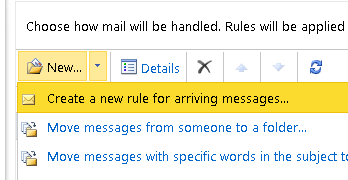 Select Send automatic replies and check Send replies only during this time period. Select a Start time and an End time. Your message automatically turns on and off with the assigned dates. Enter your message in the text field.